It is estimated that 14% of drivers in Texas are uninsured. As a responsible driver in Amarillo, you carry at least the state-minimum amount of auto insurance—but if you get hit by somebody who flees the scene, there’s a good chance that they’re uninsured. They may also have another reason that they make the unfortunate decision to flee, such as if they have a warrant for their arrest and thus want to avoid a run-in with the police. Others still may flee because they’re intoxicated, don’t have a valid driver’s license, or are even driving a stolen vehicle. Hopefully, you’ll never be the victim of a hit-and-run accident. 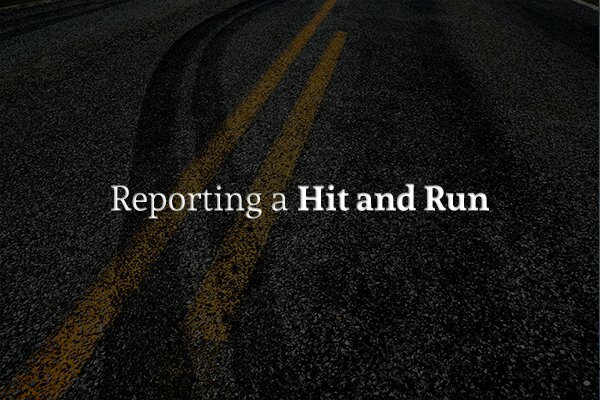 If you are, however, it’s important that you know what steps to take and how to report a hit and run in Amarillo. If the hit-and-run occurs while you’re in your vehicle, try to remain calm and get as detailed a description of the vehicle and/or driver as possible. A license plate number can really come in handy here, but so can a lot of other information. For example, if you were rear-ended, then you can pretty safely assume that the vehicle that hit you will have front-end damage. Taking note of the color and make and model of the vehicle can also come in handy. If you’re able to, use your cell phone to take a photo of the vehicle. If you don’t have time to get a photo, take a moment (after you’re sure that everyone is okay) to write down all the details of the driver and/or vehicle that you remember. If your vehicle is hit while you’re not around (such as in a parking lot), look to see if there are any surveillance cameras nearby and then see if you can obtain their footage. Next, call the Amarillo police department so that you can file a car accident police report. As tempting as it may be to chase after a fleeing driver, it’s always best to stay put. Chasing the other driver can be downright dangerous, especially since you don’t know why he or she may be fleeing. When the police arrive, provide them with a detailed description of everything you can remember. If there were any witnesses, you might also ask them to stick around until police arrive (or leave their contact information) so that they can provide a statement as well. The police will then use the information you’ve given them to help them track down the person responsible for the hit and run accident. If the police do apprehend the person who hit you, you can seek legal action against him or her. In addition to the felony charges for fleeing the accident scene, you can file a civil suit against the hit-and-run driver to help cover any medical expenses, lost wages, property damage, and other costs related to your accident that were not covered by your insurance. If you decide to go this route, it’s important that you consult an Amarillo car accident attorney who has experience with hit-and-run cases. An attorney will be able to walk you through the legal process, making sure you’re well represented along the way. He or she will also be able to determine how strong a case you have and answer any questions that may arise throughout the legal process. The team at Juan Hernandez Law has years of experience working with hit-and-run accident victims in Amarillo, TX. Juan Hernandez himself is also part of the 2% of attorneys who are board certified in personal injury law, so you can rest assured that you’re in good hands. Schedule your free case consultation today by calling the offices of Juan Hernandez at (214) 712-3823.